Muller Beltex regularly performs inspections on elevators in order to monitor their status. 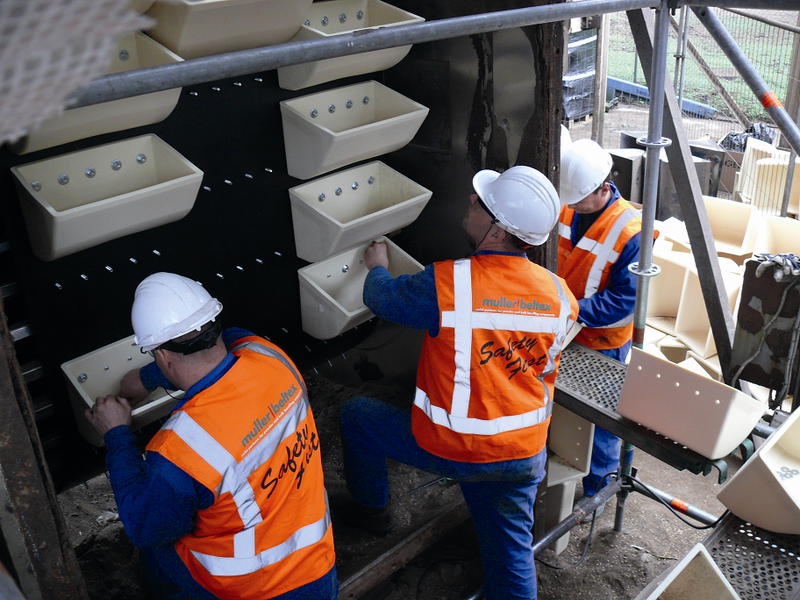 By carrying out inspections, we can prevent many stoppages caused by calamities. After completing an inspection, we draw up an extensive report explaining the situation to the client. This is followed by a comprehensive quote including a work plan describing what actions are required. Based on a phased plan, the actions are performed in a controlled way and all associated risks are identified to ensure that the work is performed safely. During this inspection of a wheat elevator, for example, a tower crane was needed to replace the drive roller. The inspection was performed while the drive roller at the top of the elevator was being replaced. Eventually, the elevator belt will need replacing during the second half of this year due to drying out. We can then replace the worn fasteners on the belt at the same time. The photos clearly show that the lip over which the product is tipped into the hopper is also showing excessive wear and tear. This will be covered with Kryptane® polyurethane. 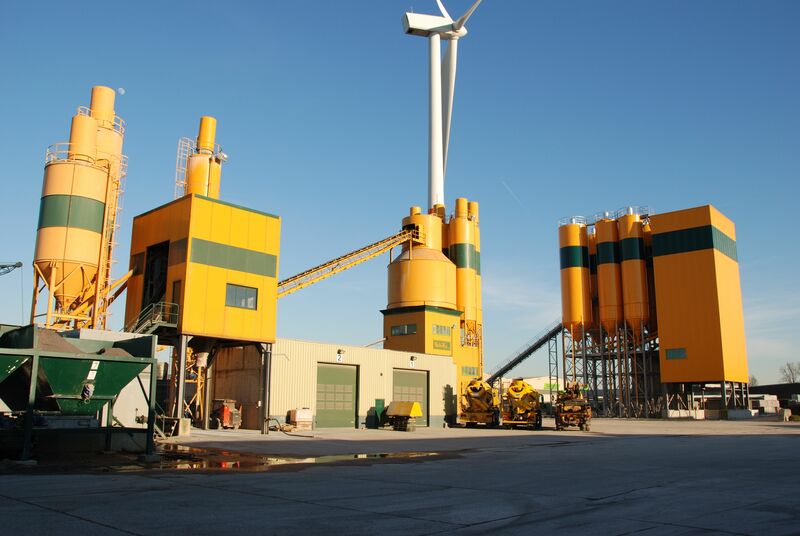 At a Belgium customer, market leader in the field of sales, production and supply of ready mixed concrete they’ve chosen for preventive abrasion protection because of the material properties such as porphyry and crushing sand. Kryptane polyurethane abrasion-resistant liners have been chosen. At worlds largest oil seed processing company in Gent (Belgium), Muller Beltex reconstructed a 1000 m3/uur rapeseed elevator in accordance with ATEX guidelines. 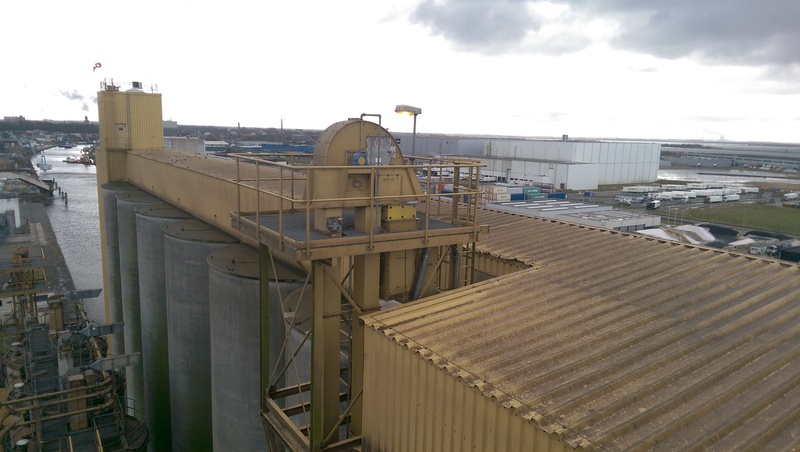 The elevator, 50,2 meters high, was equiped with a elevator belt of 1400 mm broad with 1250 mm broad steel elevator buckets mounted on it which needed frequent replacement because of breaking. To equip the bucket elevator according the current ATEX guidelines was an additional wish of our customer.